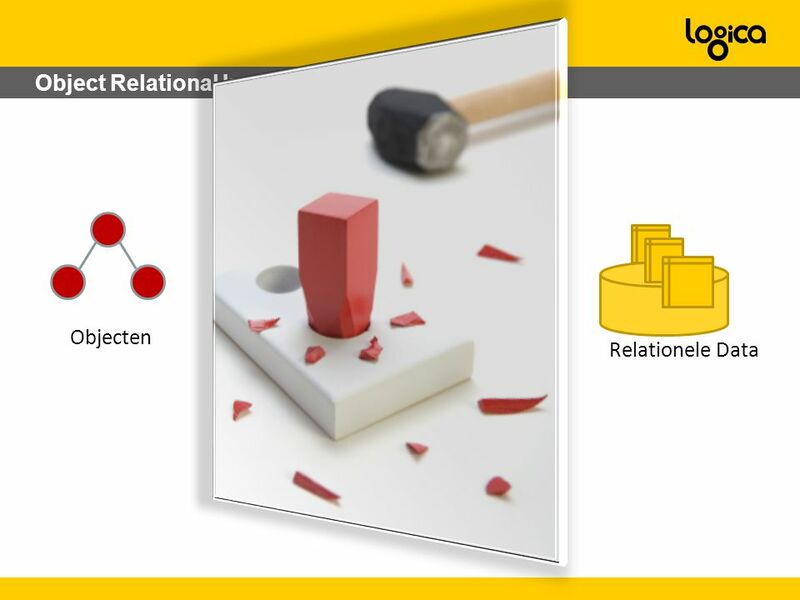 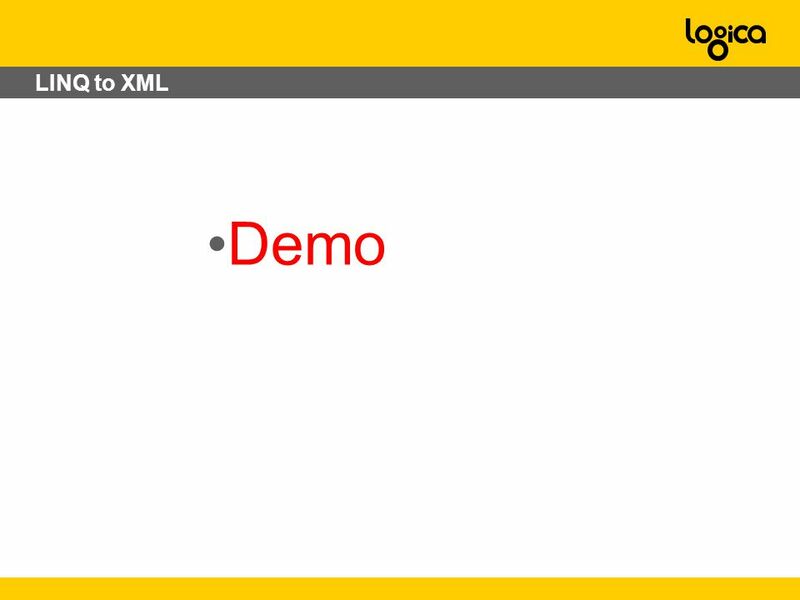 Download ppt "© Logica 2008. 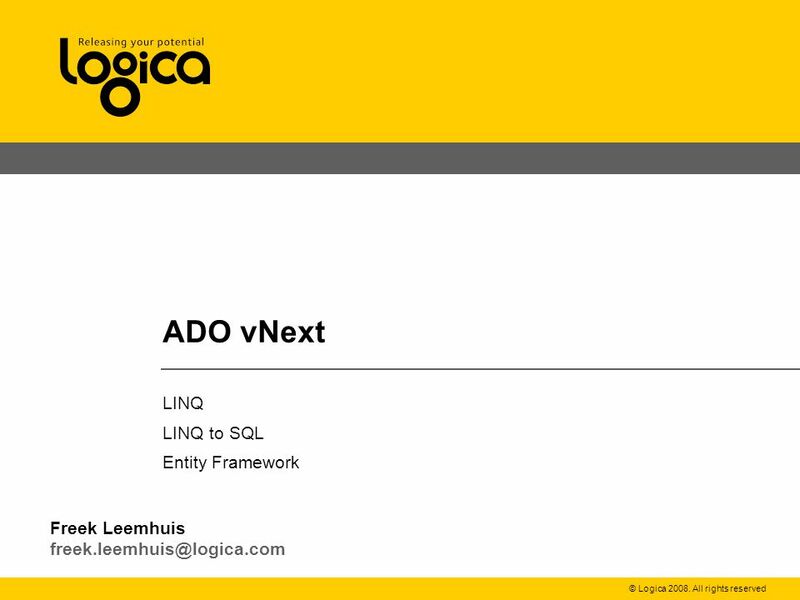 All rights reserved ADO vNext LINQ LINQ to SQL Entity Framework Freek Leemhuis"
Svetlin Nakov Director Training and Consulting Activities National Academy for Software Development (NASD) ASP.NET 3.5 New Features. 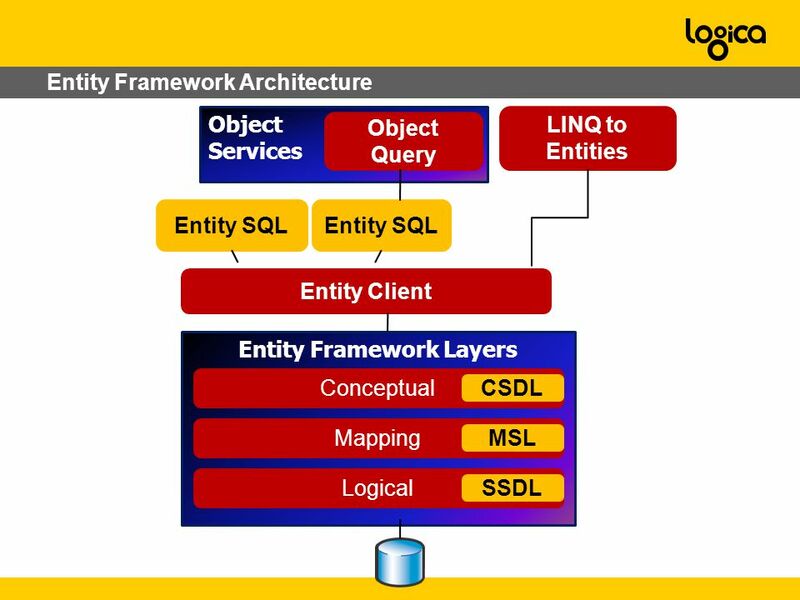 Satisfy Your Technical Curiosity ADO.NET vNext The Entity Data Model, Object Services, and LINQ Bob Beauchemin Director of Developer Resources, SQLskills. 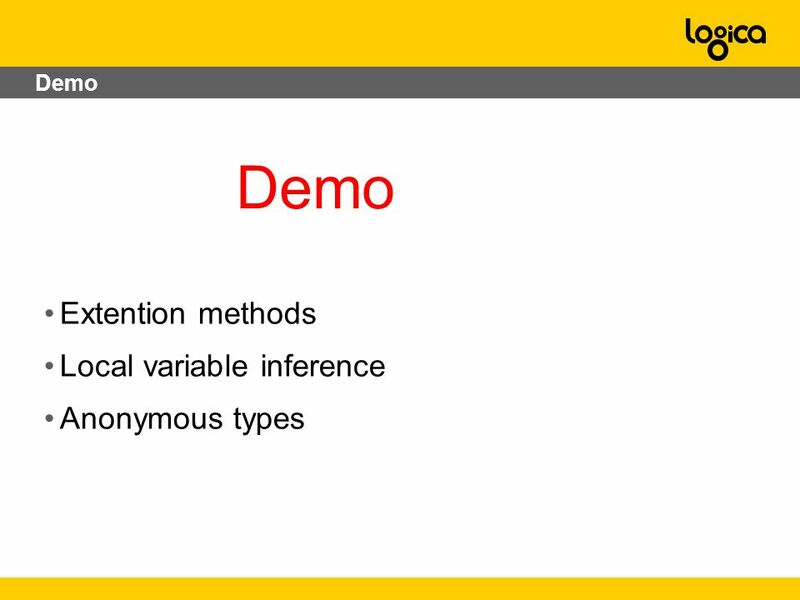 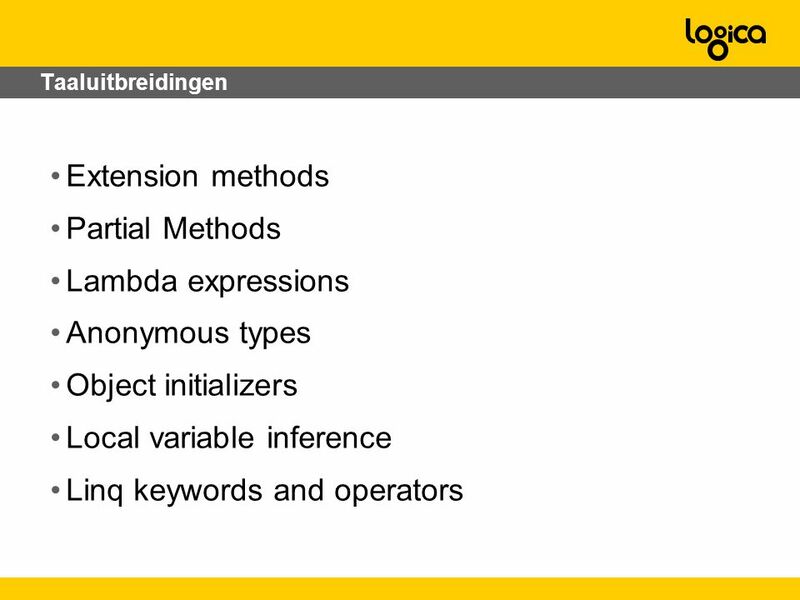 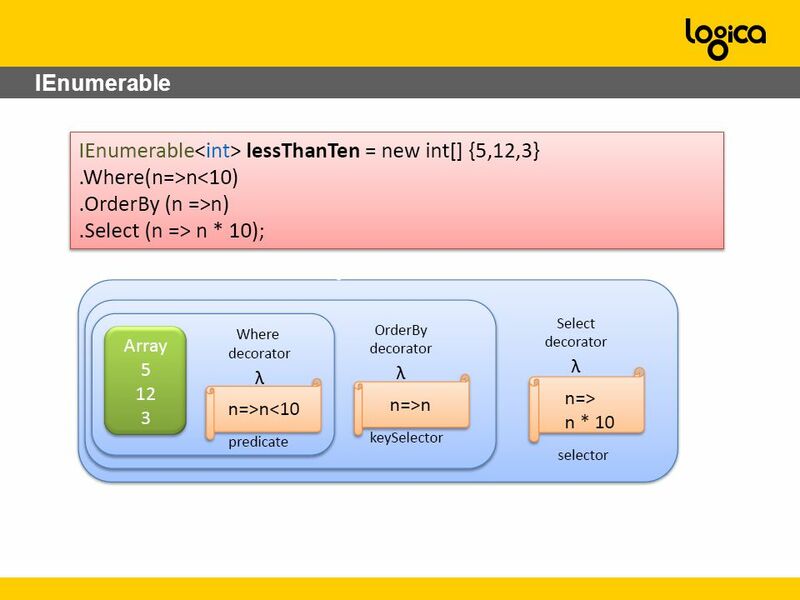 Introduction to NHibernate By Andrew Smith. 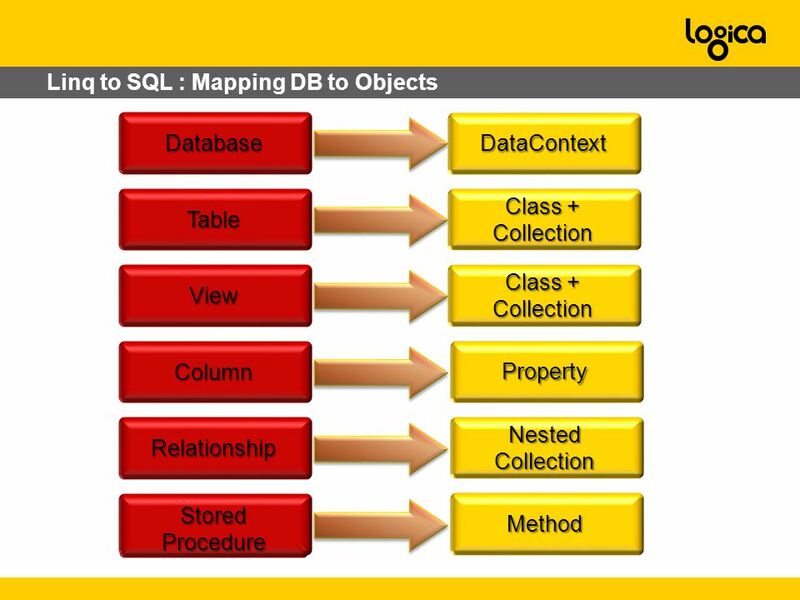 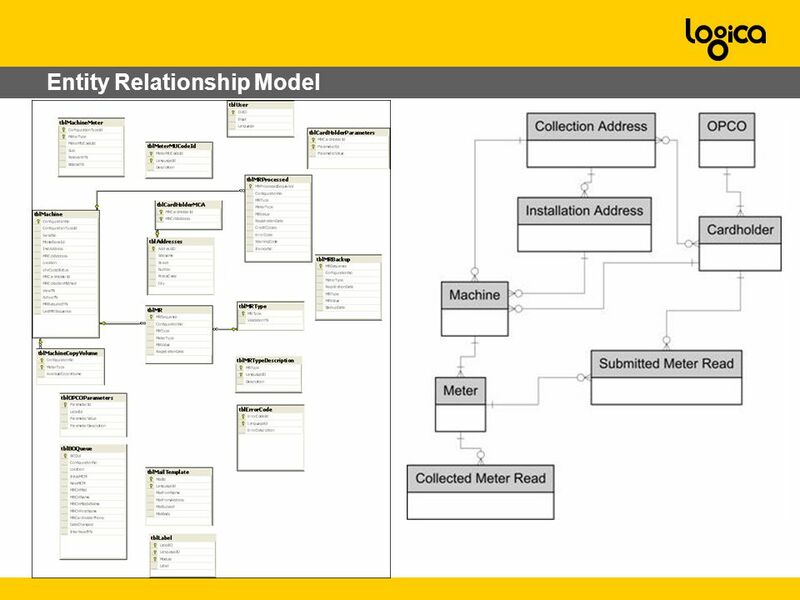 The Basics Object Relation Mapper Maps POCOs to database tables Based on Java Hibernate. 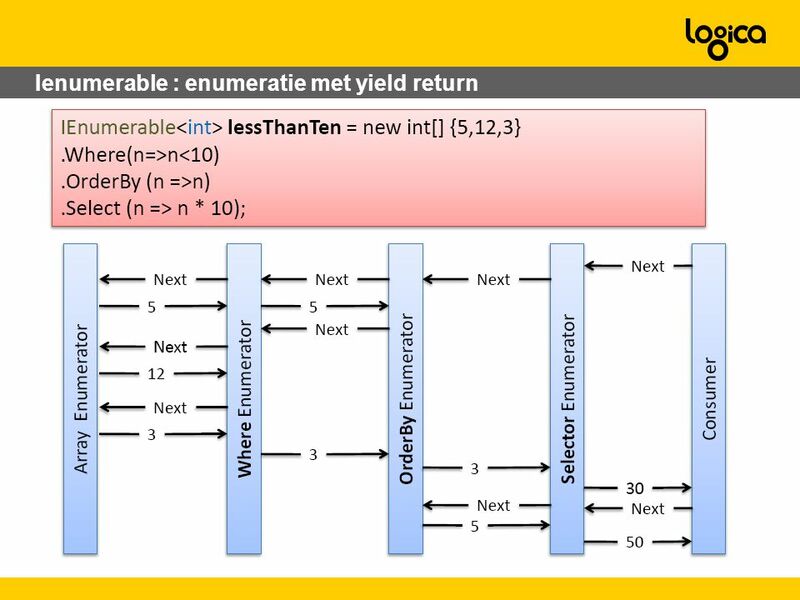 V stable Generates. 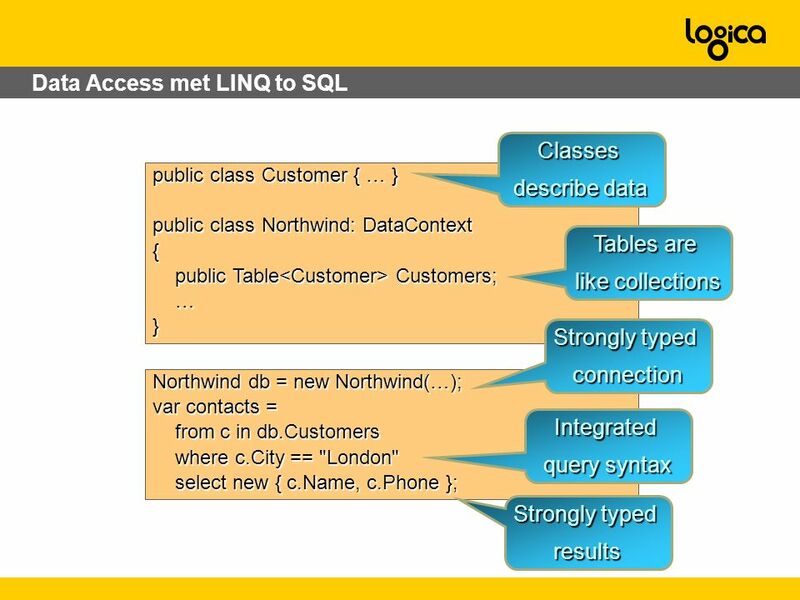 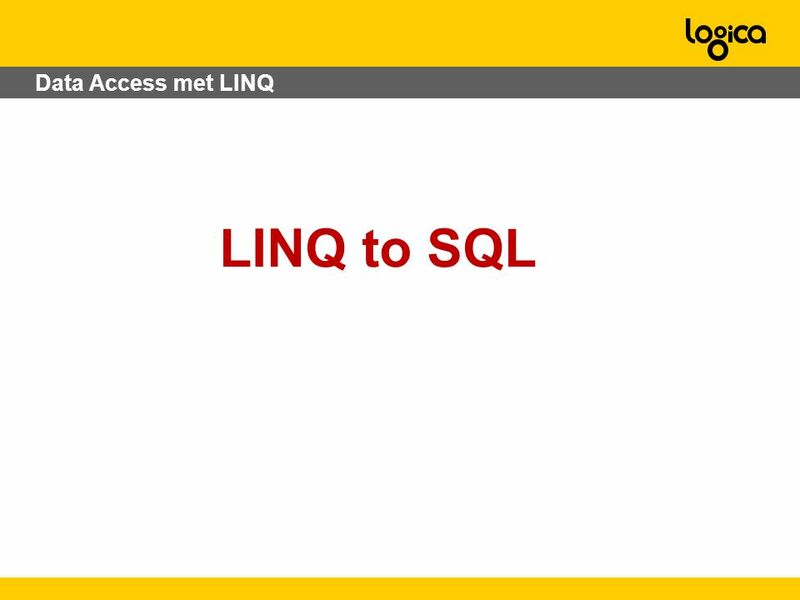 LINQ 2 SQL By, Shahzad Sarwar. 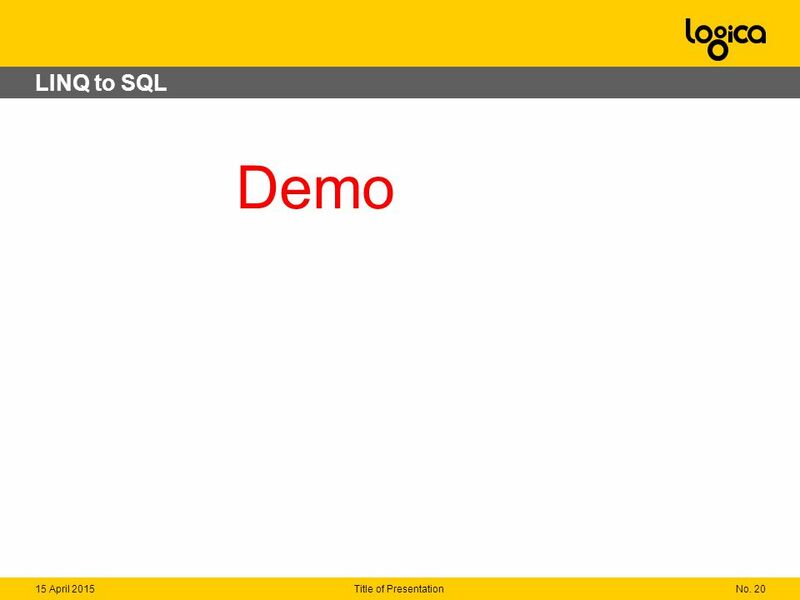 Sofia, Bulgaria | 9-10 October Datasets, Business Objects or Just LINQ Sahil Malik Prerequisites for this presentation: 1).NET 2) Lots. 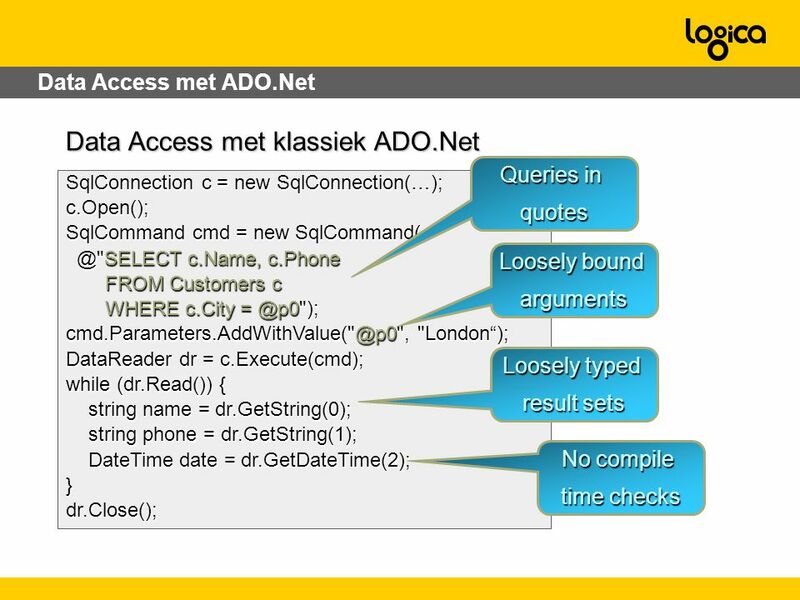 Programming with ADO.NET By Sam Nasr April 27, 2004 Programming with ADO.NET By Sam Nasr April 27, 2004. 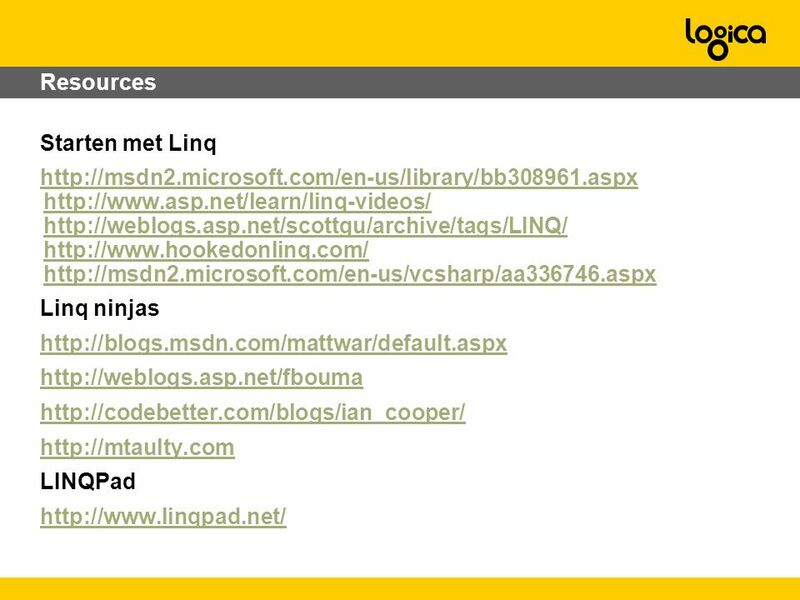 Using.NET Platform Note: Most of the material of these slides have been adapted from Nakov’s excellent overview for.NET framework, MSDN and Wikipedia Muhammad. 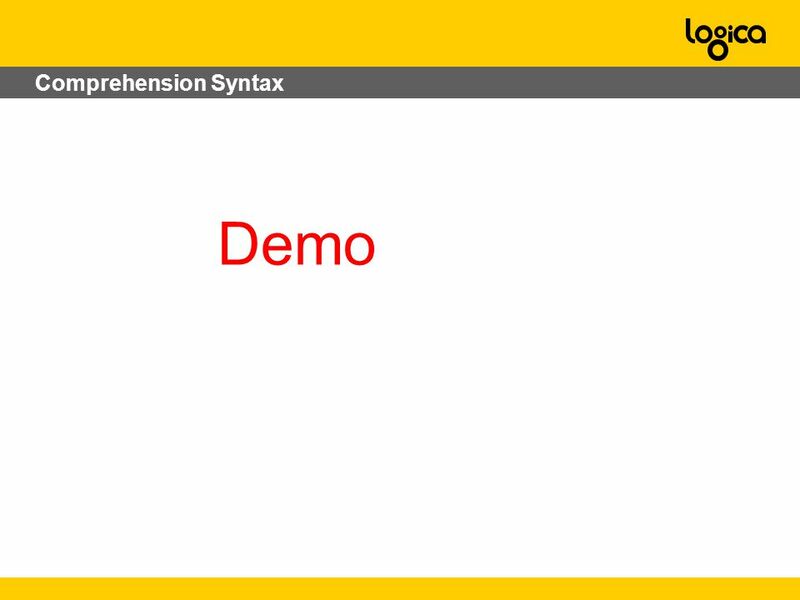 .NET 3.5 SP1 New features Enhancements Visual Studio 2008 SP1 New features Enhancements Additional features/enhancements. 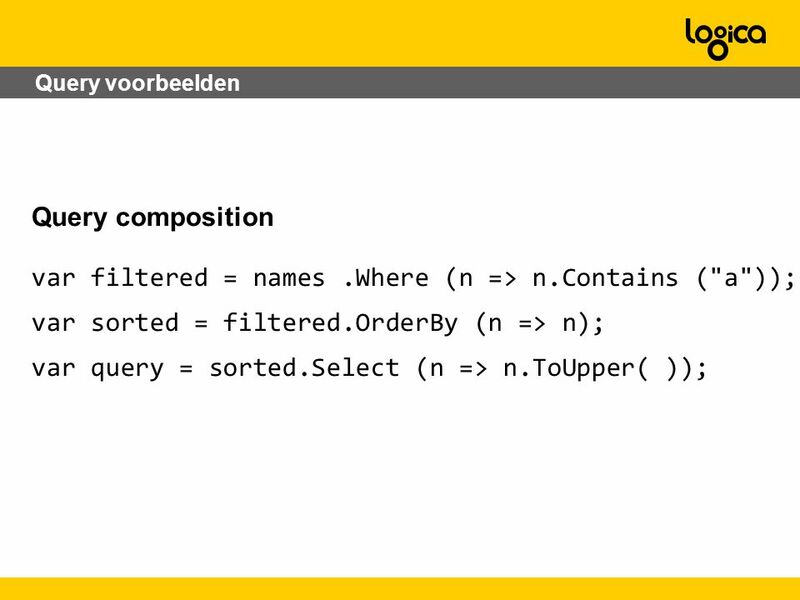 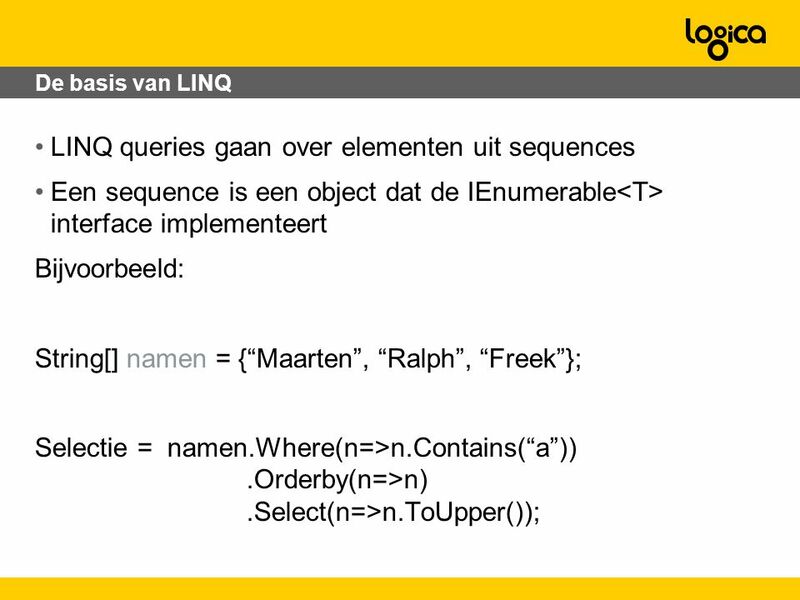 LINQ and Collections An introduction to LINQ and Collections. 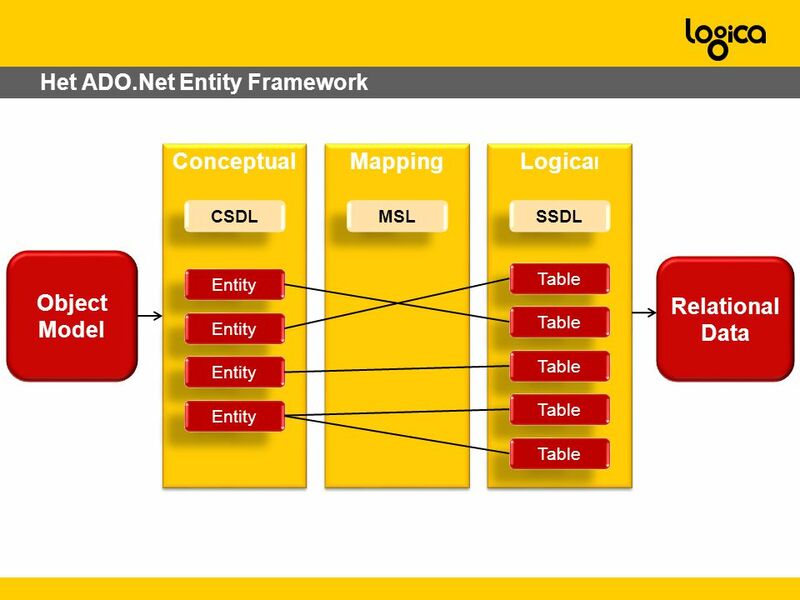 Michael Pizzo Software Architect Data Programmability Microsoft Corporation. 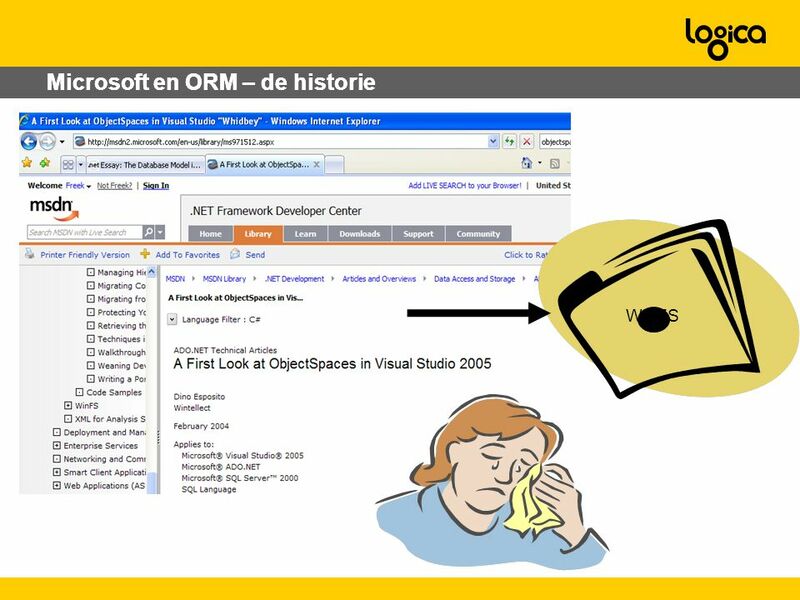 Visual Studio 2008 and the.NET Framework v3.5 Gill Cleeren Microsoft Regional Director. 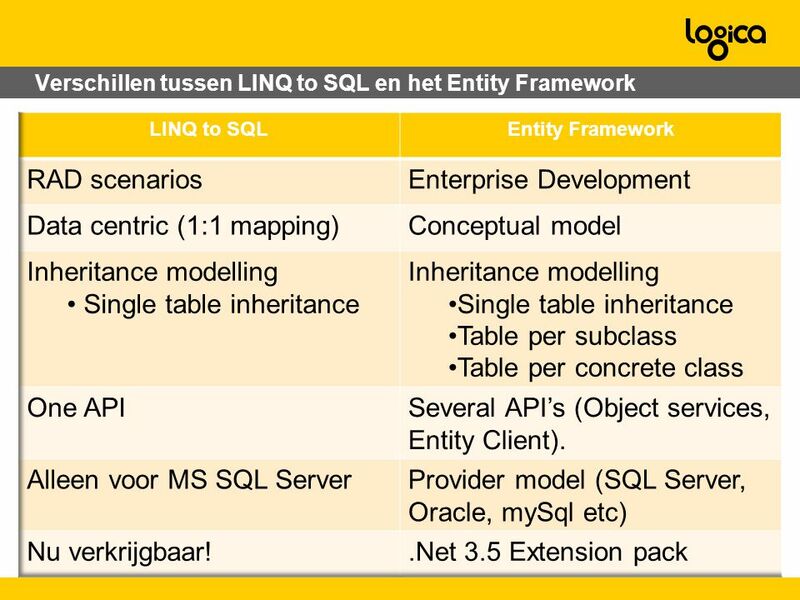 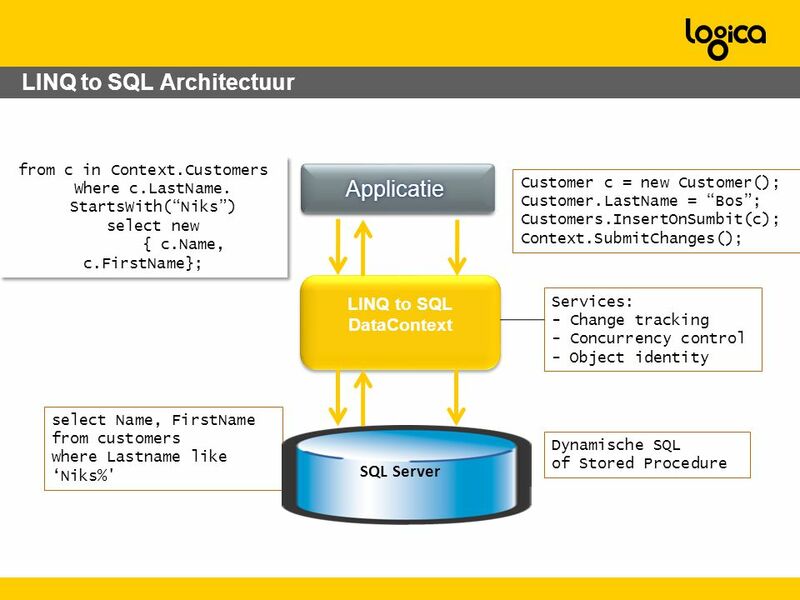 Linq to SQL Chalk Talk Freek Leemhuis Rob Huibers Logica. 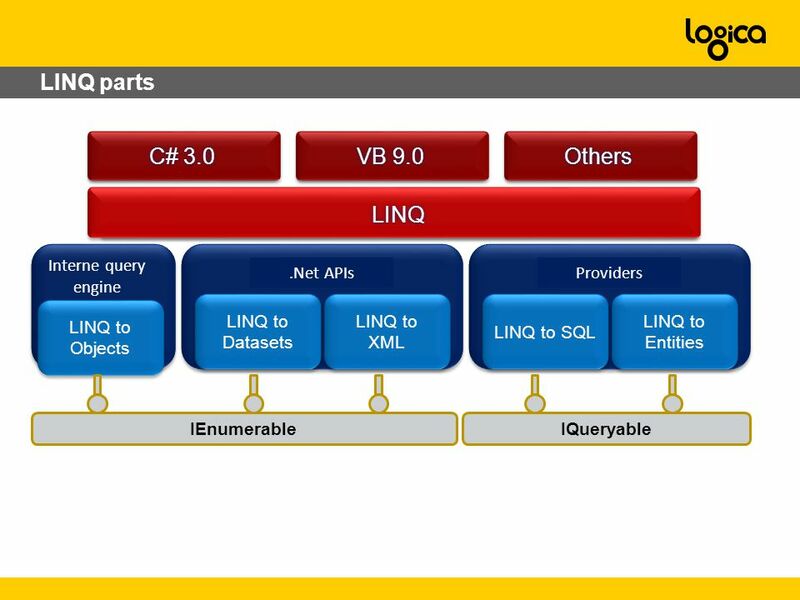 ASP.NET 3.5 New Features. 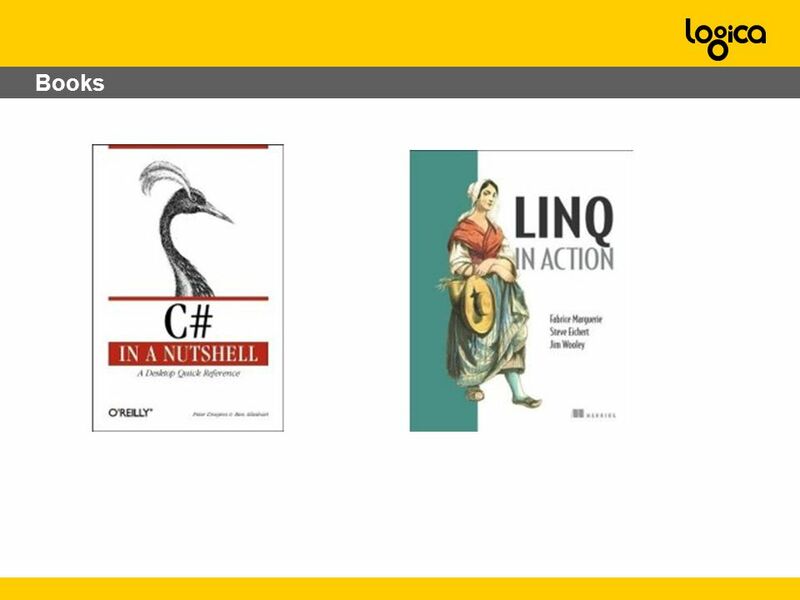 2 Agenda What's New in.NET Framework 3.5? 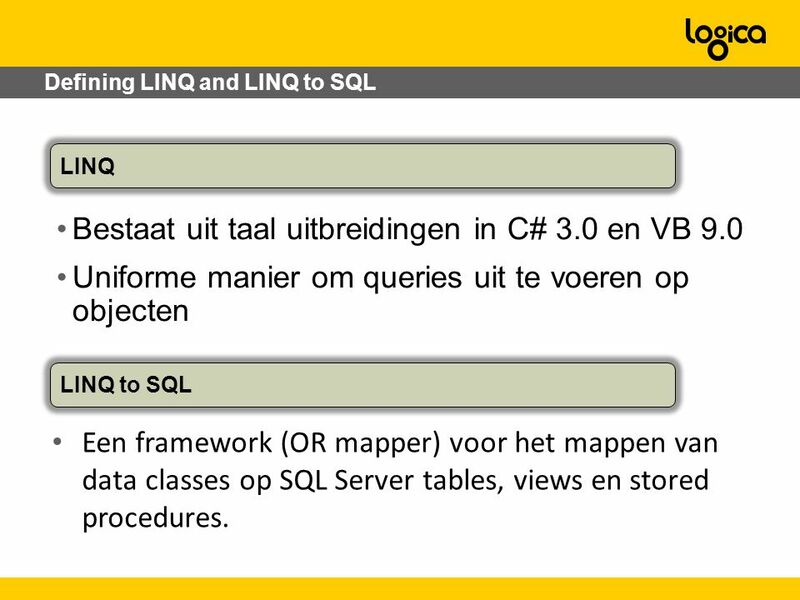 Visual Studio 2008 Enhancements LINQ (Language Integrated Query) New ASP.NET Server.